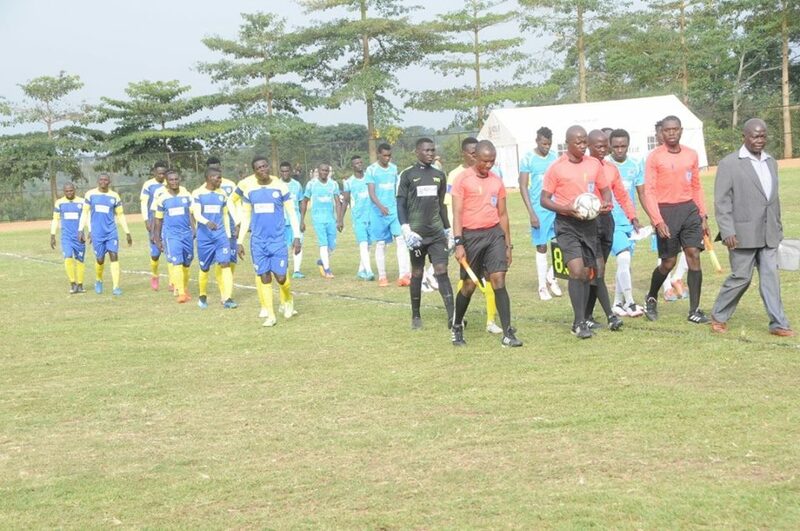 StartTimes Uganda Premier League newcomers Paidha Black Angels came from a goal down to defeat Police FC 2-1 on Wednesday afternoon. Police who had lost their league opener to BUL FC with the identical score line last Saturday started brightly, taking the lead through midfielder Ashraf Mugume on 27 minutes. Paidah pressed for a leveler before the halftime and successfully got it through former Proline forward Andrew Kidega who converted from the spot with only two minutes of the half to play. Veteran striker Yuda Mugalu then put the home side in the lead with 24 minutes of the 90 to play, finishing off from a Cromwell Rwothomio delivery. The result means Paidah register their first victory of the season having lost 2-0 to URA in their maiden encounter last Friday. Victory elevates Paidha to the 9th place while Police sits 14th with no point garnered after 2 games. Police will play against Express in their next league fixture on Tuesday 16th at Lugogo while Paidha Black Angels will travel to Jinja to take on BUL FC on the same day. In Luwero, another league debutant-Ndejje University also kick-started their season with a 1-0 victory over troubled Mbarara City. Sam Matovu scored the only goal of the game with a 17th-minute strike that proved too much for the visitors. Mbarara who were denied a chance to start their season on Friday after they failed to present a home ground sit 13th on the log with no points from one game. For Ndejje who lost their maiden bow 1-0 to defending champions Vipers SC at Kitende last week, move to 8th on the log with three points. Mbarara’s postponed fixture at home to Express will be played on Sunday at the Kavumba Recreation Center.